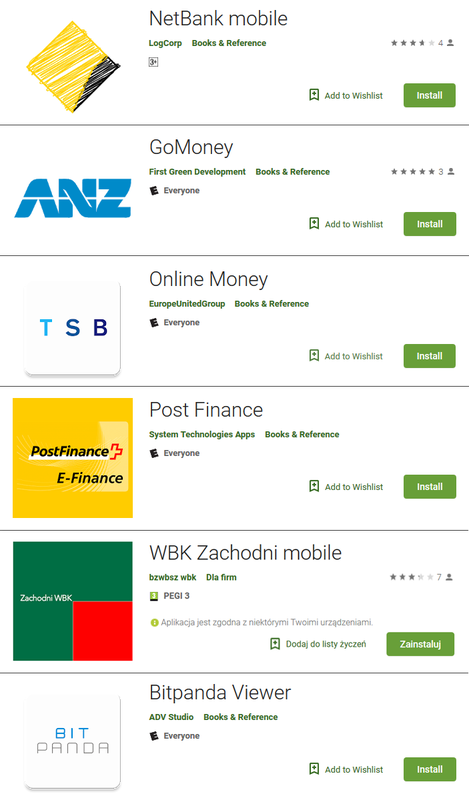 Another set of fake finance apps has found its way into the official Google Play store. This time, the apps have impersonated six banks from New Zealand, Australia, the United Kingdom, Switzerland and Poland, and the Austrian cryptocurrency exchange Bitpanda. 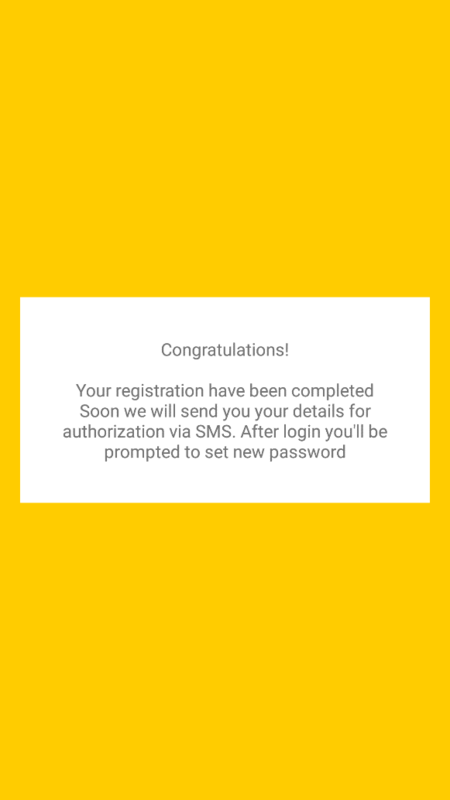 Using bogus forms, the malicious fakes phish for credit card details and/or login credentials to the impersonated legitimate services. The malicious fakes were uploaded to Google Play in June 2018 and were installed more than a thousand times before being taken down by Google. The apps were uploaded under different developer names, each using a different guise, however, code similarities suggest the apps are the work of a single attacker. The apps use obfuscation, which might have contributed to their slipping into the store undetected. The sole purpose of these malicious apps is to obtain sensitive information from unsuspecting users. Some of the apps take advantage of the absence of an official mobile app for the targeted service (such as Bitpanda), while others attempt to fool users by impersonating existing official apps. The full list of targeted banks and services can be found at the end of this article. How do the apps operate? 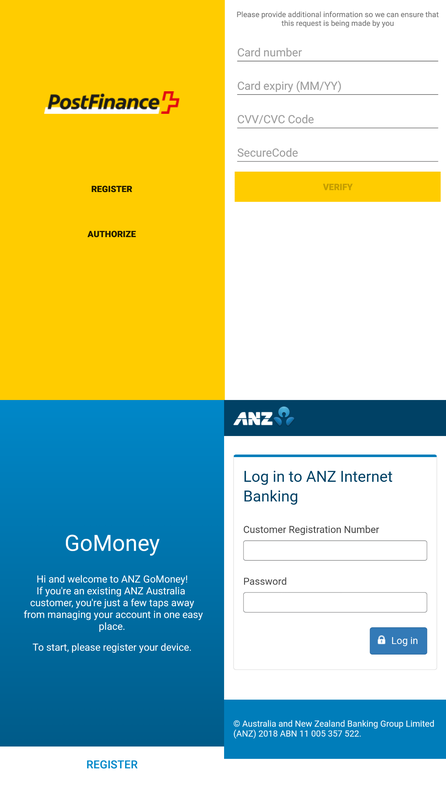 While the apps don’t follow one common procedure, upon launch they all display forms requesting credit card details and/or login credentials to the targeted bank or service (examples can be seen in Figure 2). If users fill out such a form, the submitted data is sent to the attacker’s server. The apps then present their victims with a “Congratulations” or “Thank you” message (an example can be seen in Figure 3), which is where their functionality ends. If you suspect that you have installed and used one of these malicious apps, we advise you to uninstall them immediately. Also, change your credit card pin codes as well as internet banking passwords and check your bank accounts for suspicious activity. If there have been unusual transactions, contact your bank. Users of the Bitpanda cryptocurrency exchange who think they have installed the fake mobile app are advised to check their accounts for suspicious activity and change their passwords.